Okay,I’m loving my new George Foreman toy, but my all time favorite small appliance is the Crock Pot. 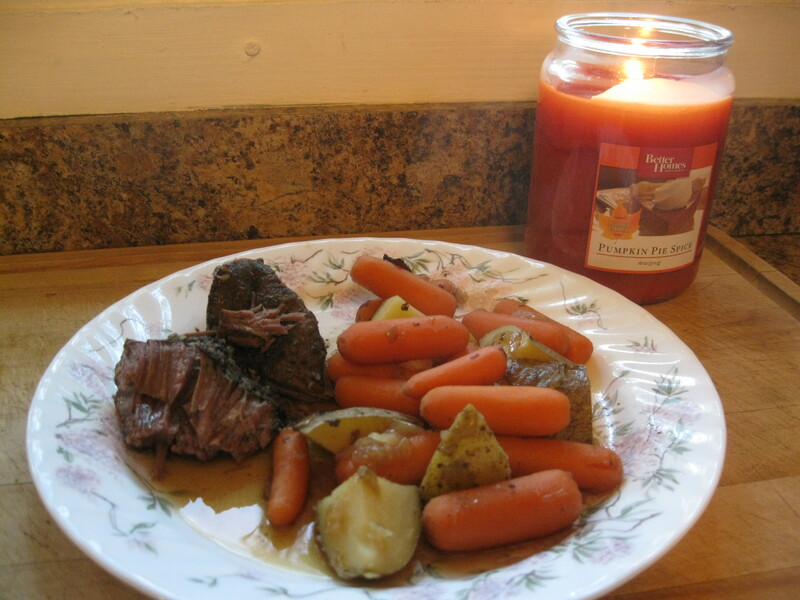 I love coming home after work and smelling the delicious aroma of Pot Roast before I even get inside. Sooo comforting. With a side of potatoes and carrots of course. 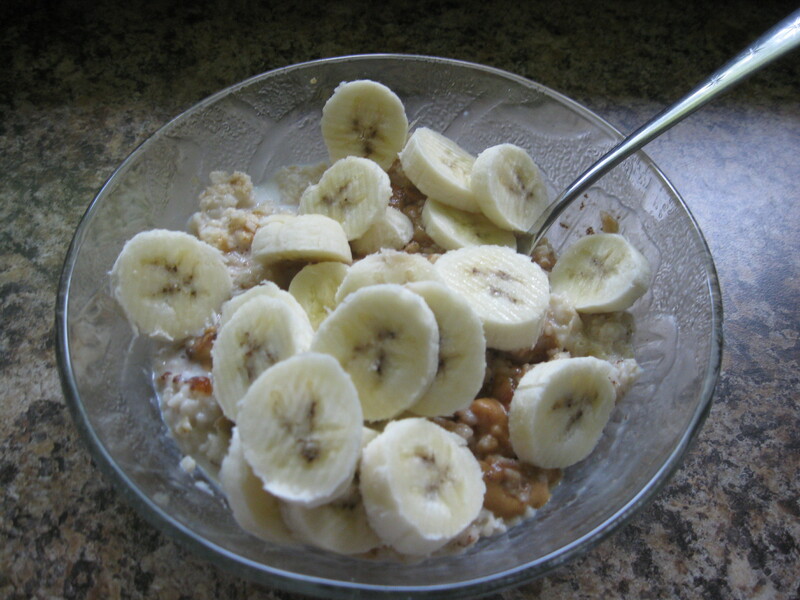 Breakfast was wonderful as well. 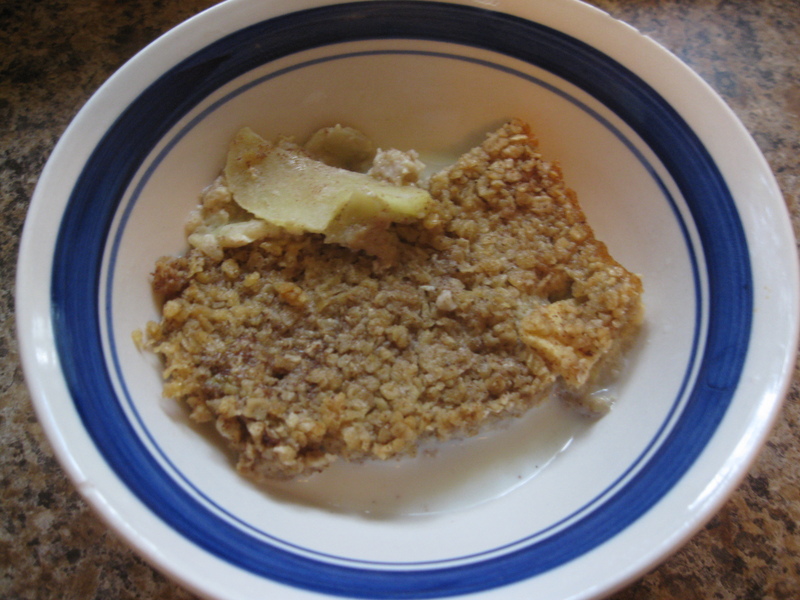 Katie has shown me my new favorite way to have oatmeal: Baked oatmeal! 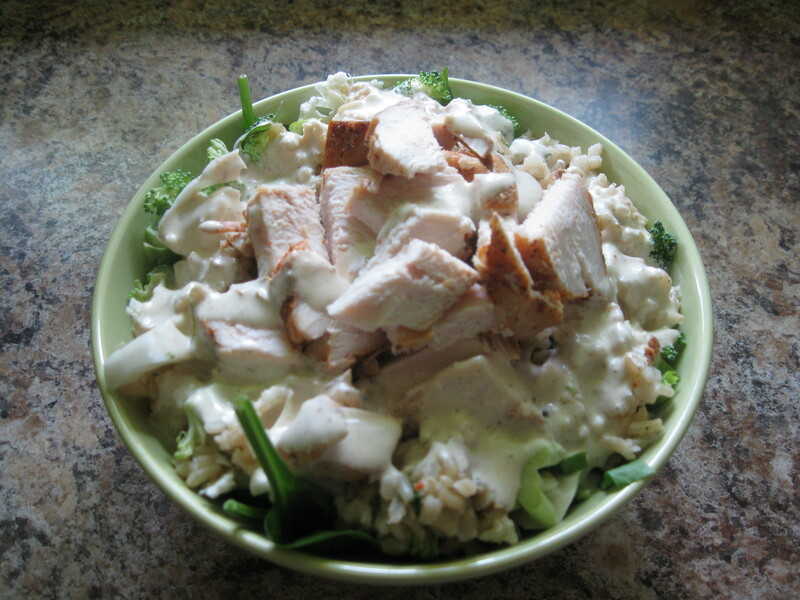 Thanks to my meal prepping on Sunday, I had grilled chicken and brown rice in the fridge to form the base of my lunch. 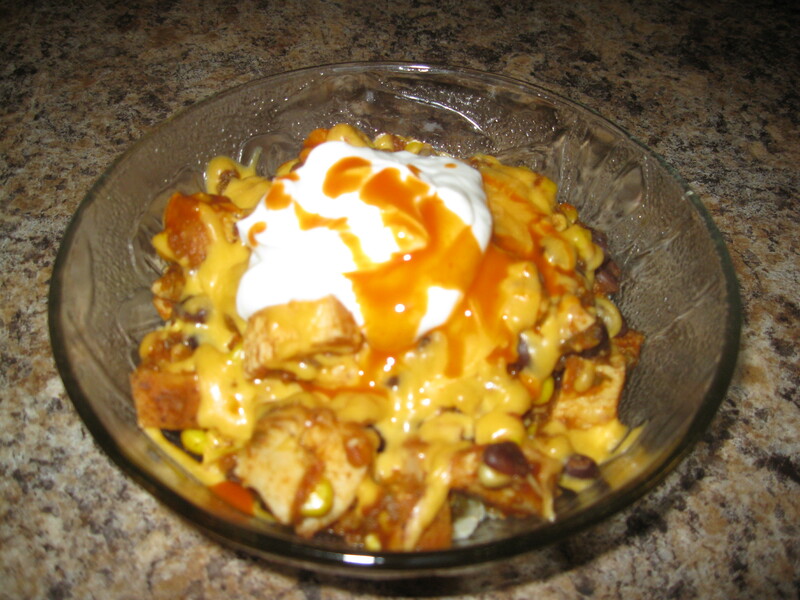 I added some Cholula hot sauce and microwaved. 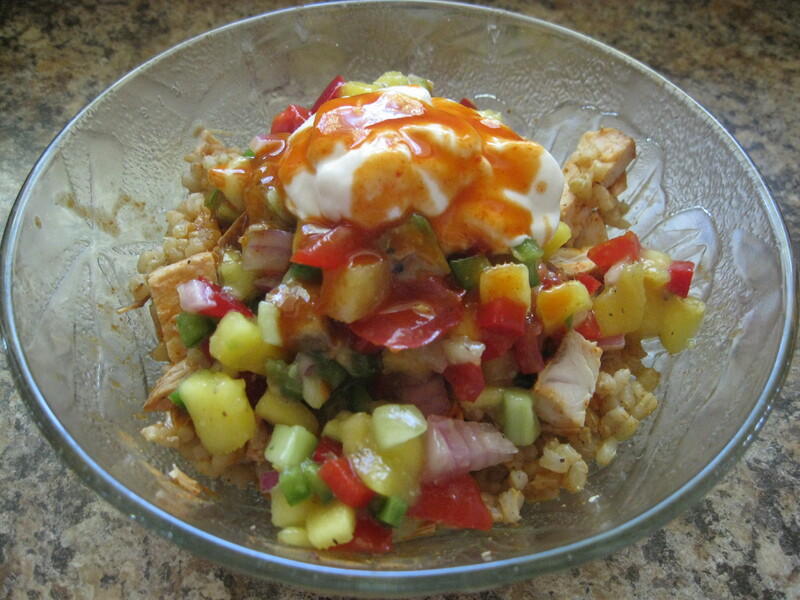 Then topped with leftover mango salsa and Greek yogurt and more hot sauce. It hit the spot. I had some great eats today! And more to come tomorrow. Manicures and lunching with my lady friend. Can’t wait!! 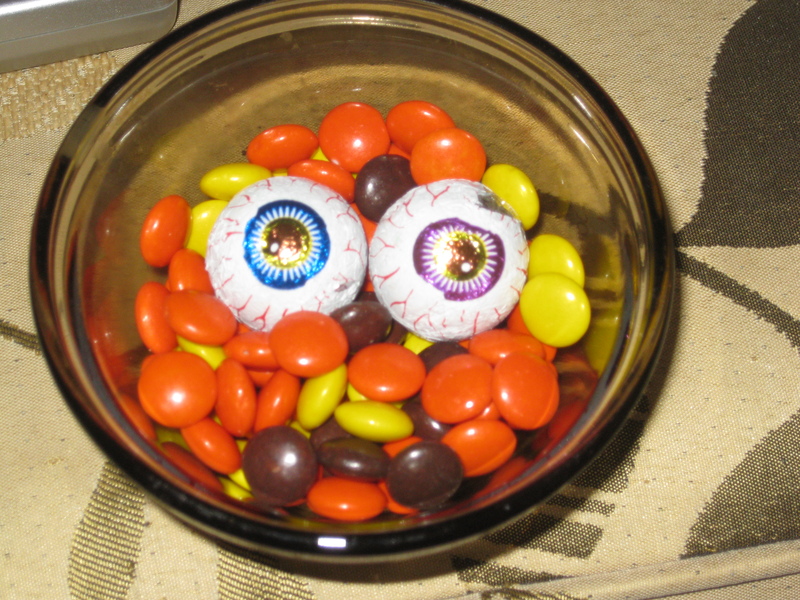 Reeses Pieces and peanut butter filled chocolate eyeballs, yum. Fun fact. The man’s nickname for me is “Peepers”. That’s why he brought me home these chocolate peepers. The package says “Creepy Peepers”. Is he trying to tell me something? Awesome! And if it didn’t hurt so bad to move, I would get up off this couch and get me some chocolate.